Set on the northwest coast of St Lucia in Rodney Bay, Bay Gardens Beach Resort & Spa is a is a beachfront property that caters well for families seeking action and adventure. The resort is an ideal location to combine the sandy shores of Reduit Beach with its perfect swimming, snorkelling and watersport opportunities with one of the island's most lively and fun spots. There are 76 rooms and suites which are all spacious and contemporary in style, with the beachfront rooms currently undergoing refurbishment. Suites have a fully fitted kitchen to allowing for self-catering. Bay Gardens Beach Resort & Spa is set in manicured and beautiful gardens in a prime beachfront location, making it an excellent choice for a cost effective Caribbean break. The resort offers a fantastic range of activities for families and couples alike, such as kayaking, paddle boarding, Hobie Cat sailing, snorkelling, water skiing and evening entertainment. A highlight of Bay Gardens is the Splash Island Water Park, a floating playground located just off Reduit Beach. The first of its kind in the Caribbean, the inflatable water park consists of obstacle-course like features including a trampoline, monkey bars, a swing and a slide, providing hours of fun for all the family. There is an option to stay on a bed and breakfast, half board or an all-inclusive basis. There are two dining choices at the resort - The Hi-Tide Beach Side Restaurant serving authentic Caribbean cuisine and Seagrapes Beach Bar & Grill offering casual dining with child friendly snacks and local dishes – all served on the beach. There are also three bars on site offering both alcoholic and non alcoholic drinks. More evening entertainment and a range of bars and restaurants can be found nearby in Rodney Bay village. Bay Gardens Beach Resort & Spa has recently expanded its all-inclusive package to include dining (three times in a seven-night stay) at nine nearby local restaurants offering a range of cuisine including sushi, tapas and Caribbean. For more information about Bay Gardens or alternative resorts, take a look at Su's St Lucia Trip Diary. The best thing about Bay Gardens is its location on stunning Reduit Beach right in the centre of Rodney Bay, close to shops, bars and restaurants. The medium-sized resort has around 80 rooms, catering well for couples and families with plenty of rooms and suites available, some with their own kitchens. Meal arrangements are very flexible, and the Dine Around programme is a great bonus which gives guests a chance to eat out in up to 7 local restaurants if staying at least 7 nights on an all-inclusive basis. There is a small spa on site, and just off the beach is Splash Island Water Park, great fun for youngsters and those big kids among us! I think this resort is well suited to those who want to be close to the centre of Rodney Bay on a great beach, with a comprehensive range of facilities on site to keep everyone happy! 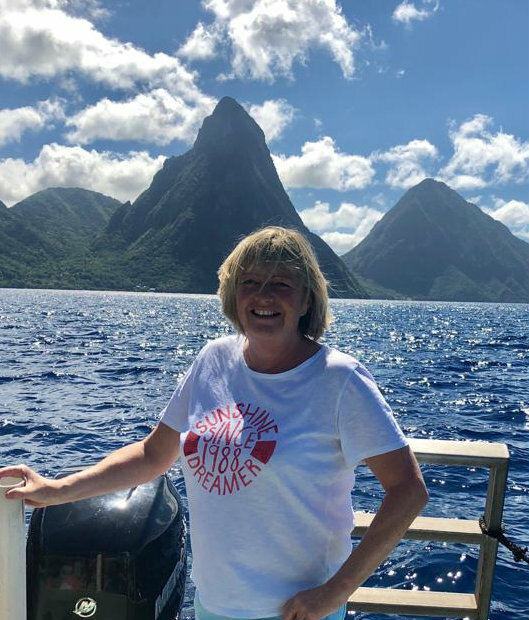 For more information about Bay Gardens or alternative resorts, take a look at Karen's St Lucia Trip Diary. Children: Bay Gardens Beach Resort & Spa caters well for families with high chairs and cots provided free of charge. Additionally, two children up to the age of 12 can stay free of charge when sharing a room with their parents. Distance from the airport: Approximately 1 hour and 30 minute drive from Hewanorra International Airport. To get there in style, helicopter transfers are also available between Hewanorra International Airport and George F.L Charles Airport, taking approximately 10 minutes plus a drive of about 15 minutes between the airport and the resort. Helicopter transfers cost around £150 each way - ask our Caribbean specialists for more information. Watersports: There is a range of complimentary non motorised watersports available including kayaks, paddle boards and Hobie cats. Guests also receive six complimentary one hour passes to Splash Island Water Park with all bookings. Facilities: Bay Gardens Beach Resort & Spa has a range of facilities on site as well as the beach with its dive centre and watersports. There is a large lagoon pool, a Jacuzzi, full concierge service, a valet service, 24 hour security, room service, car rental and a 24 hour front desk service. La Mer Spa and Beauty Salon is available on site. Bars and Dining: The Hi-Tide beach-side Restaurant serves authentic Caribbean cuisine while Sea Grapes Beach Bar & Restaurant has child friendly snacks and local dishes – all served on the beach overlooking Pigeon Island. There are also three bars on site offering both alcoholic and non alcoholic drinks. Wi-Fi: The resort provides complimentary Wi-Fi to all guests in both public areas and the rooms. Check In/Out: Guests are kindly asked to check in at 4pm and check out by 11 am. Meal Arrangements: Guests can choose to stay at Bay Gardens Beach Resort & Spa on bed and breakfast, half board or an all-inclusive basis. All-inclusive includes breakfast, lunch, dinner and all soft and house brand alcoholic drinks plus access to non motorised watersports activities, six complimentary one hour passes to Splash Island Waterpark and access to all facilities, in-room starter pack (water, soda, fruit punch, liquor and a fruit & cheese plate/snack tray). If guests are staying for 7 nights or more, they will receive two complimentary spa treatments per room, per stay, six half day Splash Island Waterpark passes and access to the Dine Around Programme. Wheelchair Accessible Facilities: Please discuss your requirements with the Tropic Breeze team. Bay Gardens Beach Resort & Spa does offer a selection of rooms that are similar to the Deluxe Rooms but are wheelchair accessible and have additional handrails. Bay Gardens Beach Resort & Spa has 76 rooms and suites which have air conditioning, a TV, a CD/DVD player, a spacious bathroom and a furnished balcony or patio. One and Two Bedroom Suites also have a full kitchen.